Hurray, somebody has finally displayed a modicum of common sense about Planned Parenthood in Arizona! 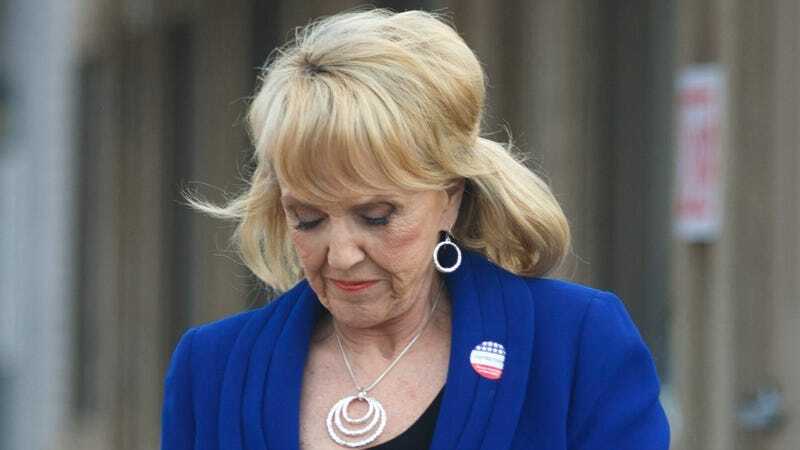 And no, it's not Governor Jan Brewer after she spent one harrowing night with the ghosts of her Christmas past, present and future and realized through this intense evening of self-discovery that she was just a big ol' Vag Grinch. Nope, it's U.S. District Court Judge Neil Wake, who blocked Brewer's ban on funding Planned Parenthood with state money due to its position as an abortion provider in court yesterday. Brewer signed the law in May, but it's been on hold due to debate ever since. Granted, it's only a temporary injunction on behalf of Planned Parenthood; the merits of the case will be discussed with more finality next month. While there's no comment from Arizona Planned Parenthood, there is always the helpful reminder that abortions make up only 3% of its services. And also that the rate of abortions in Arizona has, in fact, increased 25% in the last year! So if Governor Brewer's plan was to make abortions "play hard to get" so that everyone "just HAD to have them," it's working. Conratulations, lady.